The song ‘Allvis’ on this single is the same version that can be found on the album ‘Troll’. The Song ‘Nidvisa’ was used as a bonus track on some versions of the album ‘Troll’. Produced and released to raise funds and gain attention at the “Gi oss Jula tilbake“-action, a campaign to stop commercialism from starting celebrating Christmas in early Octobre by selling Christmas-candy and Such. 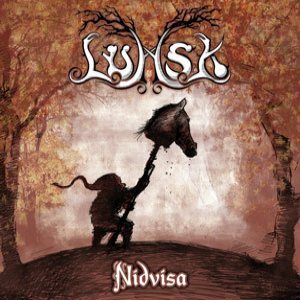 “Nidvise” is a song to mock/insult/making fun of someone, and Lumsk’s Nidvisa was orginally performed 10/3 2005 outside the factory/main office of the candy producer Nidar in Trondheim, Norway.